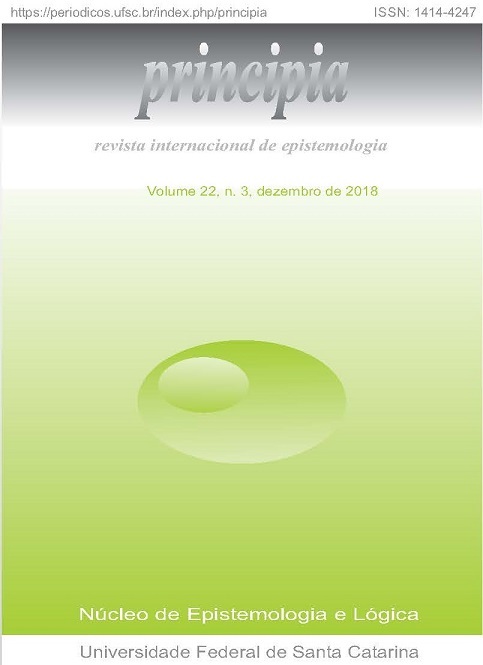 Principia: an international journal of epistemology appears in multiple databases and indexes: DOAJ; Academic Journal Database; Virtual Science Library; ProQuest; Index Copernicus; Dialnet; The Philosopher's Index; Sumários.org; Capes journals; Latindex; and other. Our next symposium will be held in Florianópolis, Brazil, from August 19th to 22th, 2019. This time our central theme is going to be The Quest for Knowledge.